I am a retired attorney and judge who has advocated for, used and grown medical cannabis since being diagnosed with Crohn's Disease as a teenager, in the 1970s. I have a YouTube channel with close to 50K subscribers, Instagram close to 40K and almost 240K on my Facebook page. 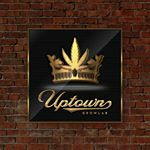 Additionally I have a digital platform www.uptowngrowlab.live where we livestream daily for an hour and have a mobile application for both Android and iOS. We have more than 1300 videos on YouTube on topics such as medical cannabis gardening, product reviews, cannabis strain reviews, and other cannabis centric content. Demographic data for @uptowngrowlab's audience is available for free to influence.co users.